Quentin Tarantino returns this year with, potentially, his most tense and violent film to date, and I loved every minute of it. 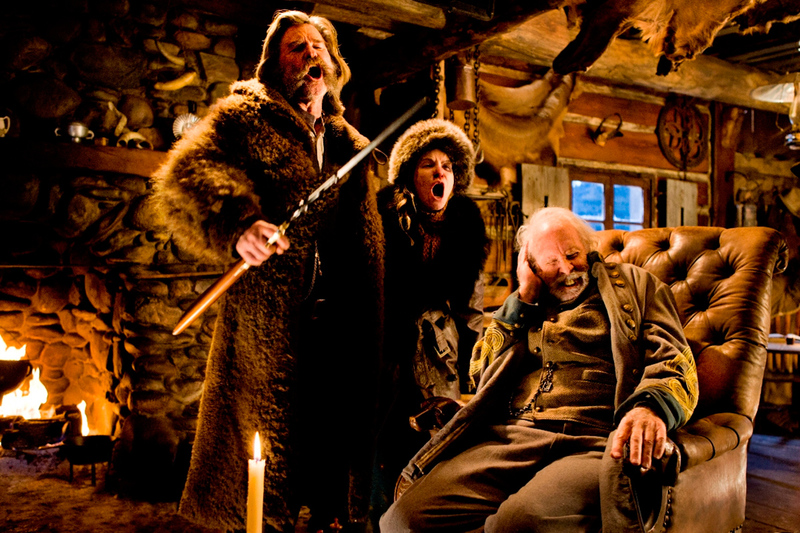 The film follows bounty hunter John Ruth (Kurt Russell) and his prisoner, Daisy Domergue (Jennifer Jason Leigh) as they become trapped with six others during a blizzard in 19th century Wyoming. Now this may not seem like that interesting of a plot line but the suspense and brilliance of the film comes not only from its exemplary dialogue and intriguing characters (even though it didn’t get an Oscar nomination for best original screenplay, which was surprising), but also from the mystery that plays out in the events of the film. It takes on the same structure one would find in a two-act stage play, with the road show screenings in 70mm inserting an intermission so the audience can have a break and speculate before returning for the rest. The re-introduction of this retro form of cinema projection really added something special to the viewing. This also makes the whole plot more intriguing as you constantly find yourself looking at the movements of each person to try and figure out who the culprit is and to prepare yourself for something Tarantino-esque (heads blowing off, blood and gore etc.) to happen. The film is held up by the performances of a group of amazing actors. Without them it would have taken a very fast turn for the worst, making the three hour and 7 minute run time excruciating. However the exact opposite happened, when I left the theater I felt like I had only sat through a film half its length and was looking forward to returning and experiencing it again. There was no stand out performance in particular, as each actor brought his or her own flair and eccentricity to their roles. Looking at the three mains, Kurt Russell is great as the bounty hunter with a heart of gold, driven to bringing his prisoner to justice. On the flip side, Jennifer Jason Leigh brings levity and balance to his character, as someone who just doesn’t give a damn about nothing or nobody, and at the same time gives you an uneasy feeling with every line she delivers. 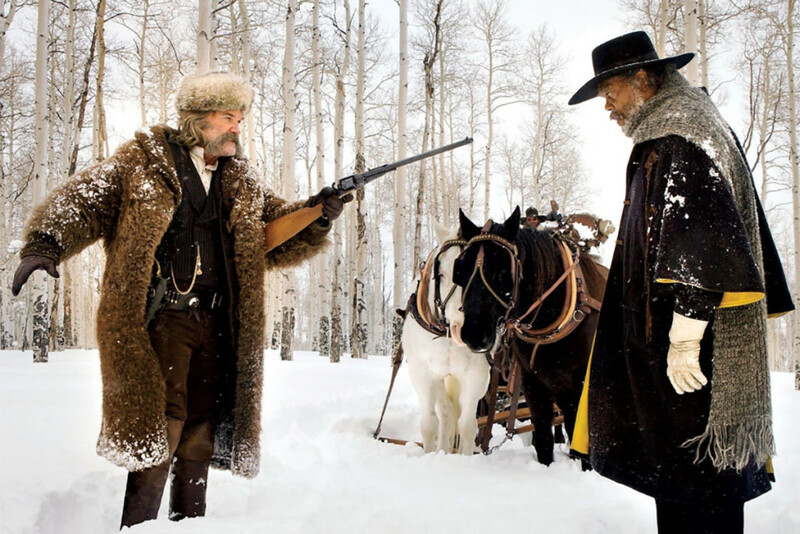 Finally, Samuel L. Jackson is excellent (as always) in his role as an African-American bounty hunter. His every move, every word, and every emotion is done in the most epic manner possible, making me wonder if I’ll ever watch a movie with him and be disappointed. 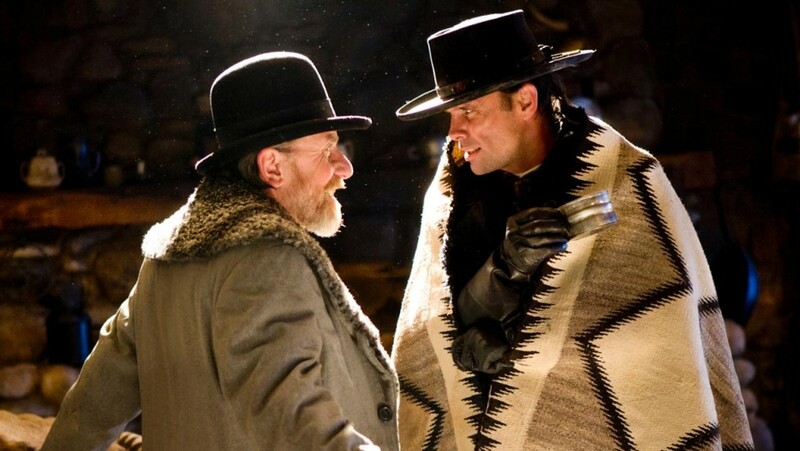 Walton Goggins and Tim Roth delivered two surprisingly great characters. Goggins portrays a newly appointed Southern Sherriff with a bias against African-Americans. His personality is strangely comical and brings some much needed levity to some scenes. Roth’s English gentlemen is the epitome of class, and he delivers one of my favorite monologues in the film (it talks of justice, you’ll know it when you see it). I must mention the powerful score delivered by the great composer, Ennio Morricone. One of the most iconic names in the business, Morricone returned after a 40-year break from the genre in order to bring another level of greatness to this film, amplifying every scene and every moment. Whenever I heard the strings of a violin or the strum of a guitar, it was as if Morricone was warning me of what was to come, which just made the viewing more intense and encompassing. As to its Oscar hopes, I was surprised to find out that it is only nominated for three: Best Performance by an Actress in a Supporting Role, Best Achievement in Cinematography, and Best Achievement in Music Written for Motion Pictures, Original Score. In the supporting actress category Leigh’s crazy character brings a certain insanity and energy that the other nominees lack; however the likelihood of an Oscar in her category are pretty slim. While her performance is very entertaining and at times powerful there are others in the category that have a much stronger probability of taking home the prize. The cinematography in the film is absolutely stunning, helped by the use of the 70mm, every scene looks like it actually came from a wintery 1800’s with breathtaking shots and landscapes that really bring you into its world. While there are some strong contenders this year, the framing of this film gives it a good chance at the Oscar. Finally we make our way to the score, Ennio Morricone’s masterpiece. Do I think this will take home the trophy? Short Answer: Yes. Long Answer: while there are other greats nominated, none of them bring a sense of gravitas to their films like Morricone’s score does. It’s so essential that it becomes a character of its own speaking to the audience through it’s melody and harmonies. If anyone is deserving, it’s him, and I hope that the Academy agrees with me on the night. 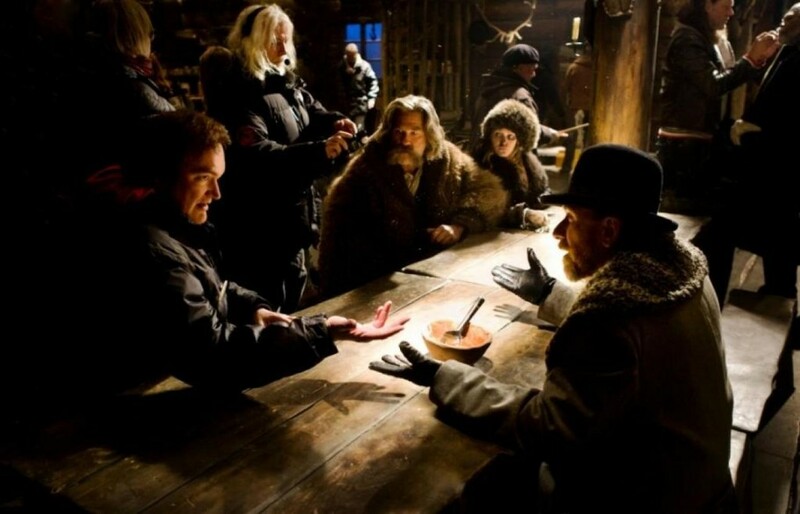 The Hateful Eight is another of Tarantino’s great masterpieces, where he brings everything he has learned from his previous movies and applies them in a whole new way. It’s a truly remarkable film with everything you’d hope for, and nothing you’d expect.